‘VisionEye’ is an award winning ‘off grid’ rapid deployment CCTV system like no other. 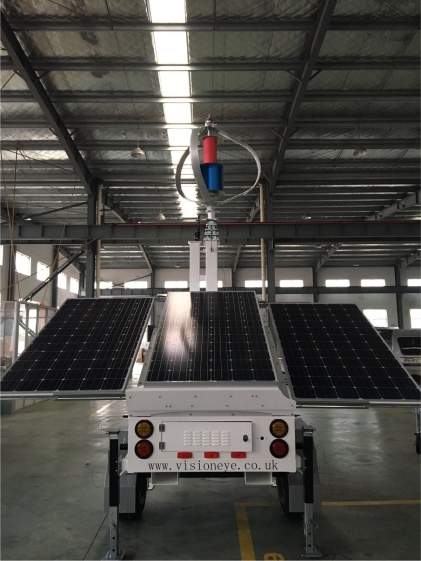 Designed by A1 Security, the trailer mounted CCTV system is totally self-powered by batteries, which in turn are charged by a wind turbine and solar panels for complete 'stand alone' solution for use in remote 'un-powered' locations. 4 High Definition cameras are mounted on a telescopic mast that can extend up to 9 metres, giving you a 360-degree view of your site or location. Live images from VisionEye are streamed back to our dedicated control room via a 2/3/4g roaming network, or via satellite if necessary. Recorded HD images are stored on the unit and also on a server in our control room at the same time. High powered LED lights and audible sirens are remotely activated by our control room operators if the system detects any intruders, and the Police are notified if intruders fail to leave the premises or area. All clients are provided with an APP to enable live images to be viewed remotely by mobile phone or tablet. 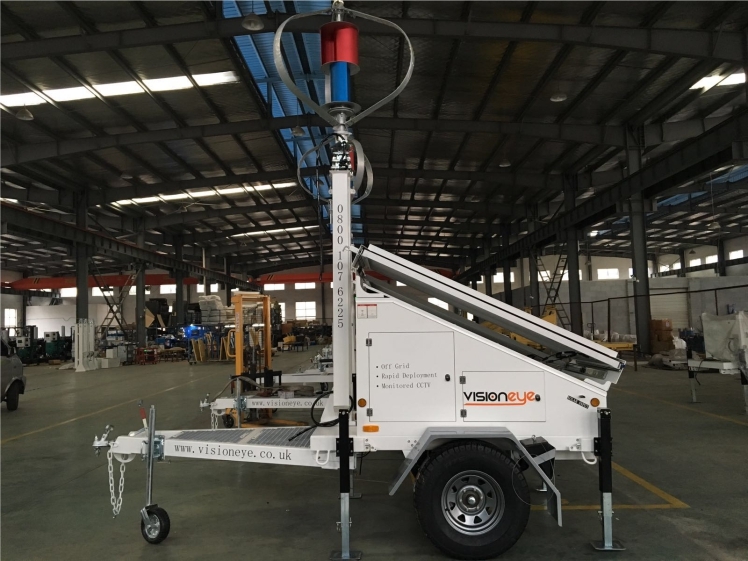 The VisionEye trailer mounted CCTV system once delivered to site, can be set up and be operational in under 10 minutes and requires no mains power or telephone lines. 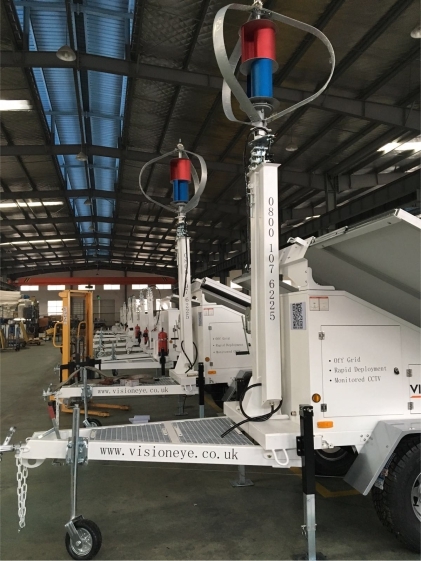 VisionEye is currently the only one of its type available in the UK. Do you have remote locations that could benefit from VisionEye CCTV security? Call us now on 01476 57 97 97 to discuss your requirements and arrange for a free no obligation survey followed up with a full quotation for supply and installation at a time to suit you.